We visited the Los Angeles California Temple on Day Three of our California Temple Trip. It was closed on the day we visited. 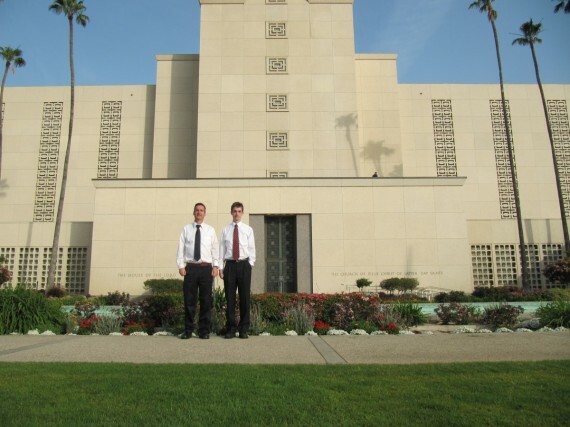 Later that day we went to the Fresno Temple. After Fresno we journeyed to Oakland to stay overnight, ready to visit the Oakland Temple the next day. 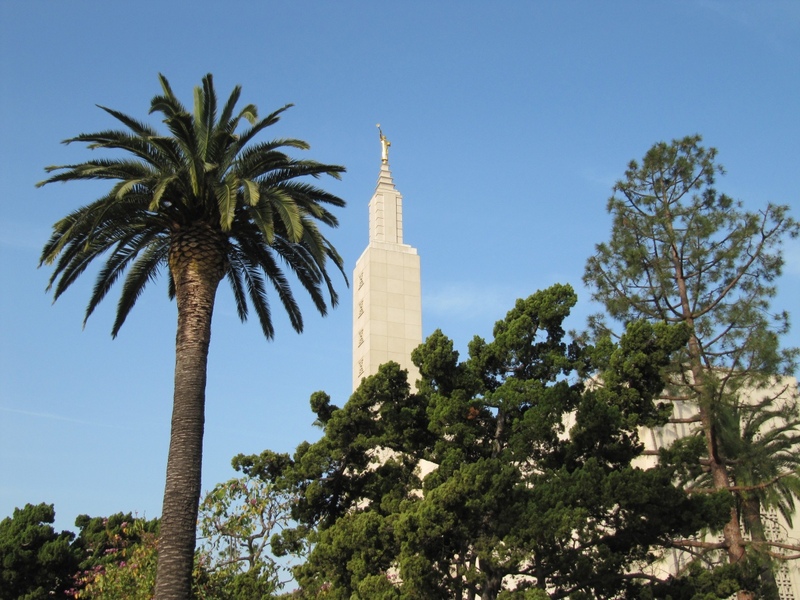 The Los Angeles California Temple is the tenth operating and the second-largest temple operated by The Church of Jesus Christ of Latter-day Saints. 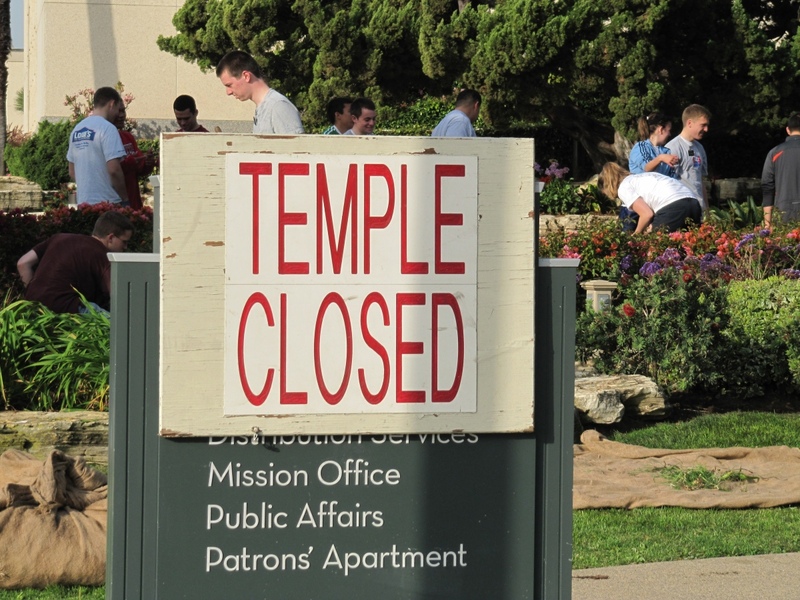 When it was dedicated in 1956, it was the largest temple of the church, later surpassed by the Salt Lake Temple with its additions and annexations. 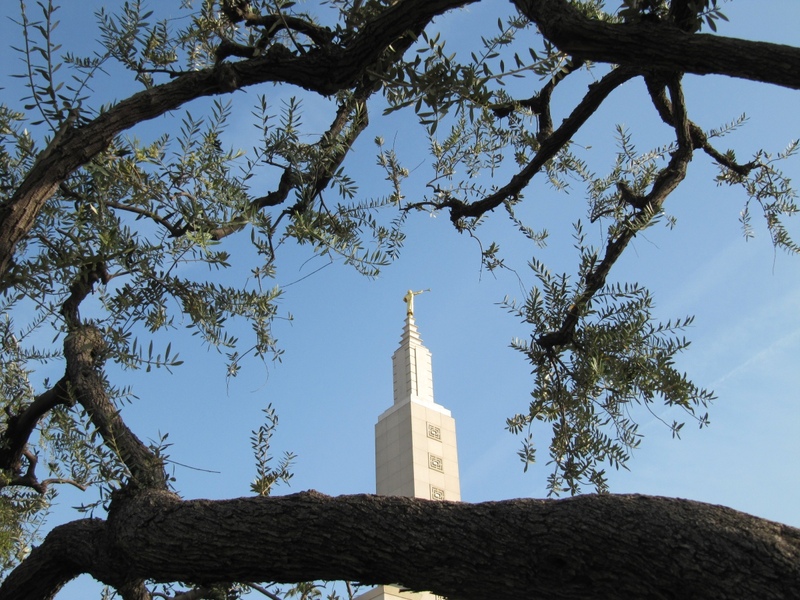 The grounds includes a visitors’ center open to the public, the Los Angeles Regional Family History Center, also open to the public, and the headquarters for the Los Angeles mission. 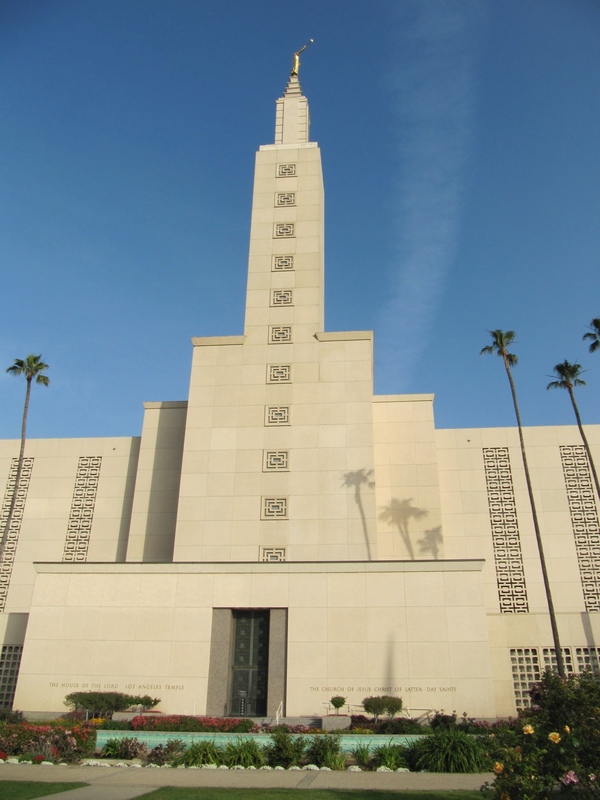 The Los Angeles Temple was announced when the church purchased 24.23 acres from the Harold Lloyd Motion Picture Company on March 23, 1937, by president Heber J. 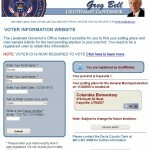 Grant. 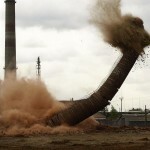 Construction was to begin soon thereafter, but financial difficulties relating to the Great Depression and World War II delayed the groundbreaking until 1951. The temple plans were revised at this time to include a priesthood assembly room, an unusual feature in temples built after the Salt Lake Temple. It was also expanded to accommodate an unprecedented 300 patrons per session. 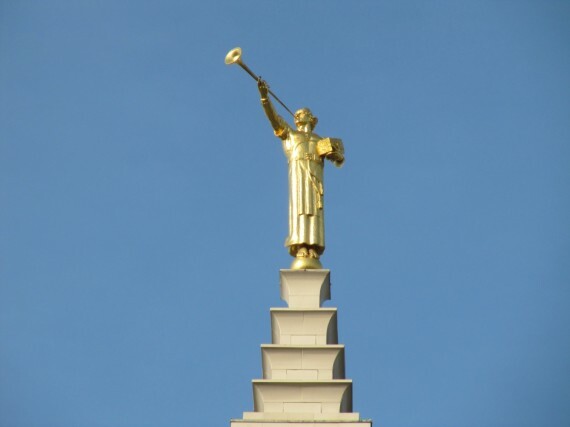 This was the first temple with an angel Moroni statue since the Salt Lake Temple. When the statue was installed, it faced southeast as the temple does. 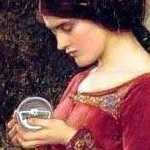 It was later turned to face due east at the request of then Church President David O. McKay. This was the last temple designed to use live actors instead of a film to present the endowment. The motion-picture presentation soon replaced the live actor presentation, and the progressive presentation (in which patrons moved from one room to another) was replaced with stationary ordinance rooms (i.e., patrons remained in a single room for the entire ceremony). In 2003, the temple reverted to a progressive-style presentation of the endowment (but still using a movie) and completely renovated the Terrestrial Room. The Los Angeles California Temple was closed for renovations in late November of 2005, with reopening originally scheduled for May 2006, but eventually delayed until July 11, 2006. The renovation also included a seismic overhaul and a complete redesign and reconstruction of the baptistry, which had long been plagued by mold due to poor ventilation. The well manicured grounds, open to the public, are filled with a various plants, including Canary Island Pine trees, several varieties of palm trees, Bird of Paradise trees, olive trees, and rare Chinese Ginkgo trees. At the left and right of the temple are two fountains, and at the front is a large reflection pool. Several family-themed statues further beautify the grounds. In December temple grounds are all aglow with thousands of multi-colored lights in celebration of Christmas. 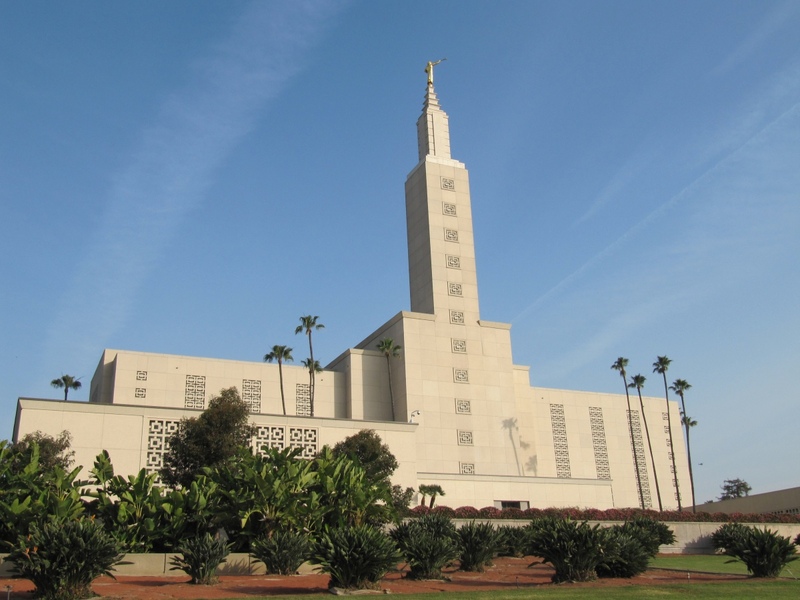 While not as regionally prominent as the temples in Oakland, San Diego, and Washington, the Los Angeles California Temple is still one of the most distinctive features of Los Angeles’ Westside. Thousands of commuters pass it every day on busy Santa Monica Boulevard. The proliferation of high-rise buildings along the Wilshire Boulevard corridor and in nearby Century City has reduced its prominence in the Westside skyline. However, its dramatic night lighting and sheer size still make an imposing sight, particularly for travelers exiting the Santa Monica Freeway northbound on Overland. 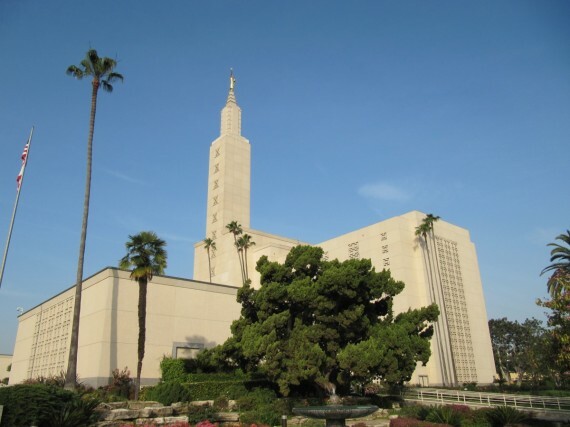 Numerous Church facilities are on its grounds including a meetinghouse, a baseball field, the headquarters of the Church’s California Los Angeles Mission, and apartments (used by missionaries, temple workers, temple patrons, and visiting church officials). The remaining land, along Manning Avenue, was subdivided for residential lots, the sale of which considerably offset the expense of constructing the temple. Because it was the church’s first temple (save the roughly contemporaneous Bern Switzerland Temple) built outside of an LDS-dominated settlement, the Los Angeles Temple was the first LDS temple explicitly designed for automobile accessibility: its parking facilities were larger than those of any temple built previously, and there is no direct pedestrian connection between the front doors and Santa Monica Boulevard. The temple’s architecture is generally Modernist, an aesthetic that extends to the choice of exterior cladding: 146,000 square feet of Mo-Sai pre-cast concrete facing, a mixture of crushed quartz and white Portland cement quarried in Utah and Nevada. The very light brown pigmentation of the Mo-Sai blend has the advantage of concealing the thin layer of soot that accumulates on most buildings in Los Angeles. The temple is 369 feet long, 269 feet wide and has an overall height of 257 feet. 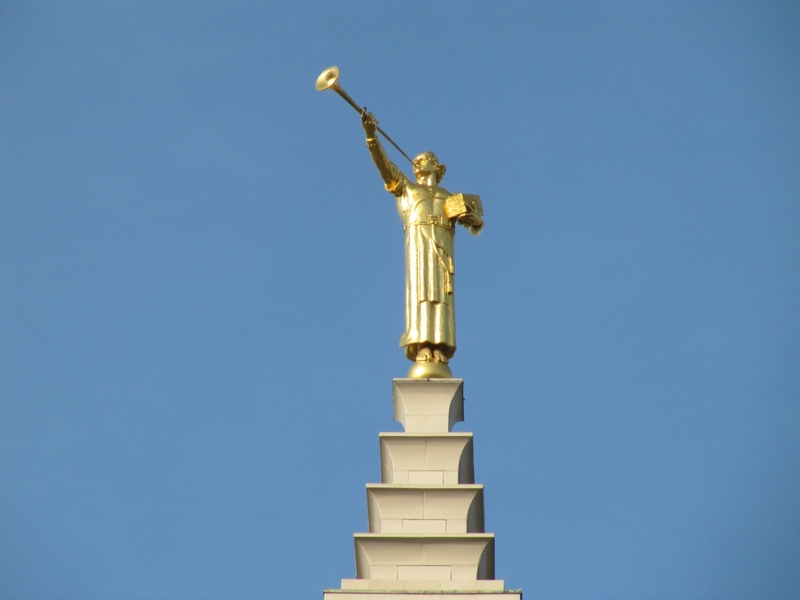 Atop the temple stands a 15 foot tall statue of the angel Moroni. The rooms include a baptistry, celestial room, four ordinance rooms, ten sealing rooms, and an assembly room that stretches the entire length of the temple. 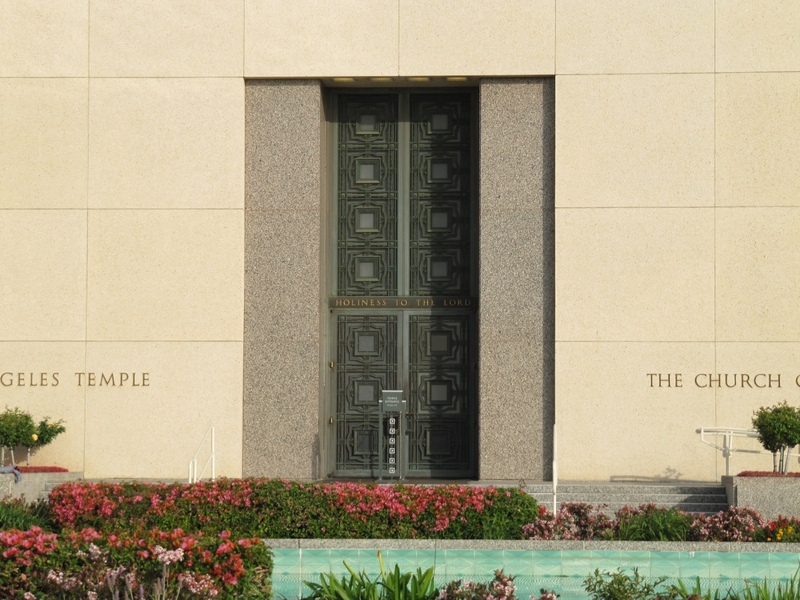 The Los Angeles temple features murals on the walls of its progressive-style ordinance rooms including the celestial room. The only other temple with celestial room murals is the Idaho Falls Idaho Temple. Have you seen the temple at Christmas time? So many lights! Just the Salt Lake temple.